We could go on and on about why it's important to stay hydrated. But in the summer, when you’re on the go and working up a sweat, it's hard to gulp down enough. To make sure I’m drinking fluids throughout the day, I always like to have a water bottle on hand. We could go on and on about why it's important to stay hydrated (water can improve the way your joints and body tissues function, help regulate your body temperature, and aid in the transportation of nutrients, to name a few perks). But in the summer, when you’re on the go and working up a sweat, it's hard to gulp down enough. To make sure I’m drinking fluids throughout the day, I always like to have a water bottle on hand. Here, three of my favorites. Whenever I go for a hike, this bottle comes with me. 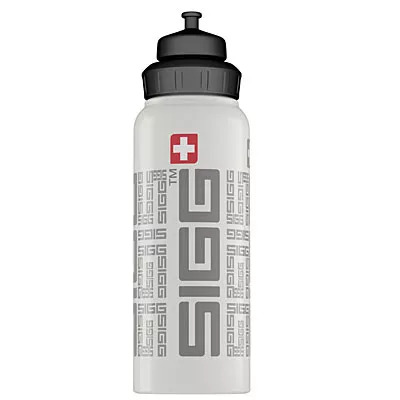 The Wide Mouth SIGGnature Bottle ($25; Mysigg.com) is lightweight and durable, plus it holds one liter of water, so I know I'll have enough H20 when I’m out traipsing in the heat. Yes, the gym is a place for exercising, but we can’t deny that most of us want to be stylish when we’re there, too. 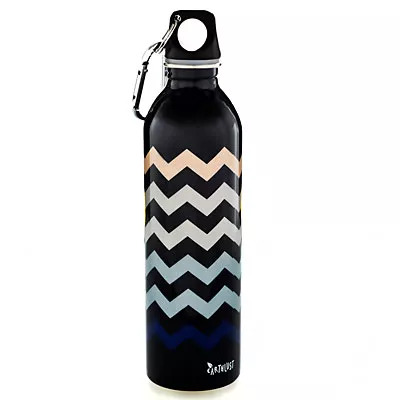 So here’s a bottle that will look good and fit in the bottle holder on the elliptical: the EarthLust Chevron Bottle ($18; Earthlust.com). 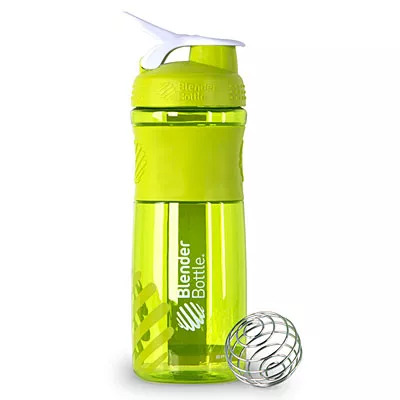 While you can just put water or lemonade in the BlenderBottle Sport Mixer ($15; GNC.com), you can also use it for whipping up a smoothie without making a mess. Its wide mouth lets you easily put in a bunch of ingredients, and its chopping whisk helps mix it all together. Another perk--you can even use it to quickly whip up pancake or waffle mixes in the a.m.!